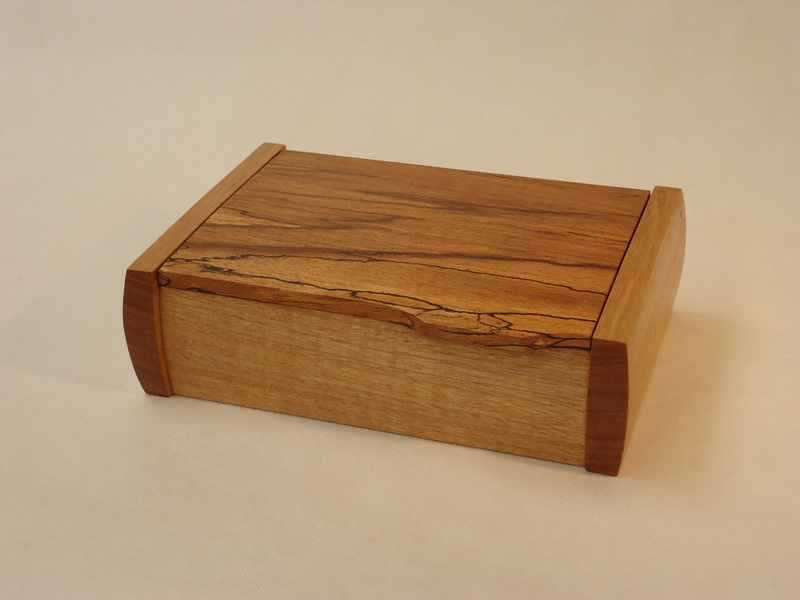 A desk box made from Marlborough Oak and Walnut. Finely finished with Danish Oil and polished with wax. 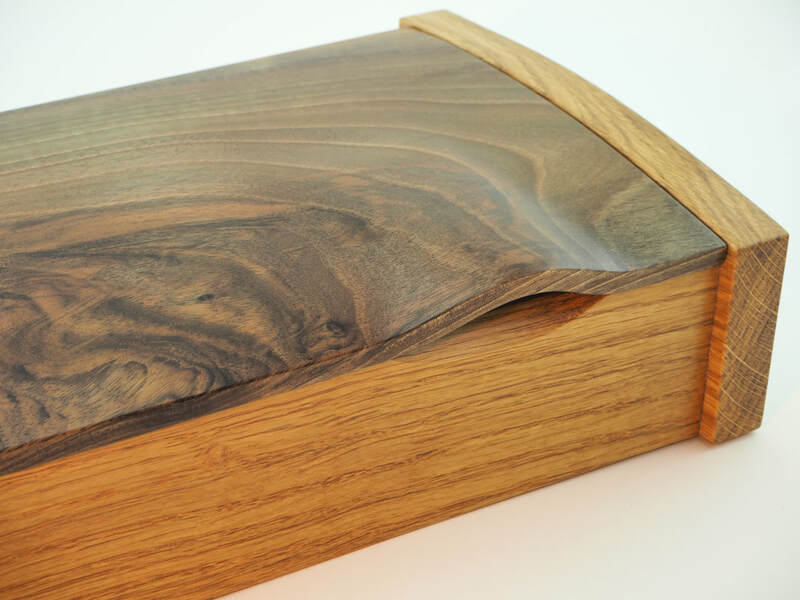 The carved Walnut lid highlights the beautiful grain and colour of the wood. Influenced by the geometric designs of the 1920's and 30's, this desk box has lovely warm tones of Red Beech and Jarrah with inlays of glass. The Jarrah was rescued from an old building damaged in the Christchurch Earthquake. Finely finished with natural oil and citrus beeswax. 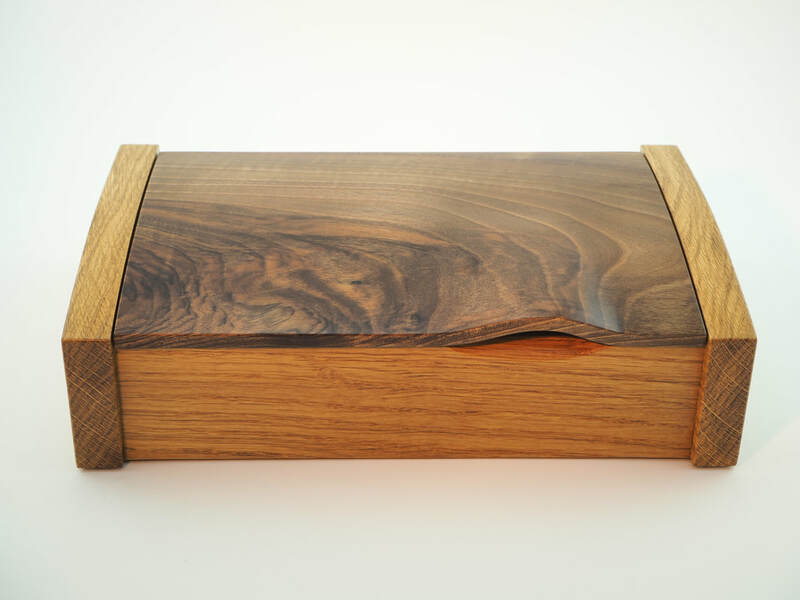 ​A smart addition to your desk, this is a curved-sided box in Tasmanian oak with a shaped lid crafted from spalted European beech. 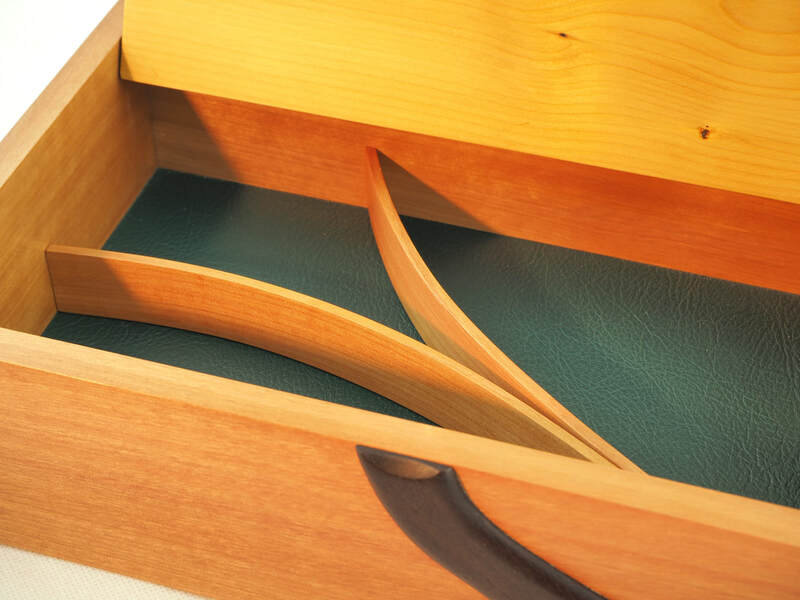 This desk box celebrates the natural diversity of colours and textures of wood. 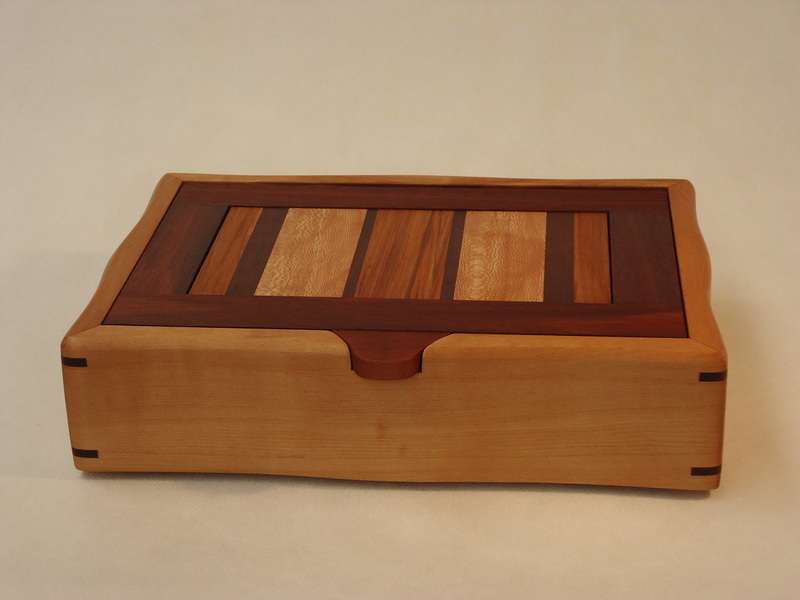 With sculpted sides of recycled rimu, its lid features matai and plane framed with jarrah. 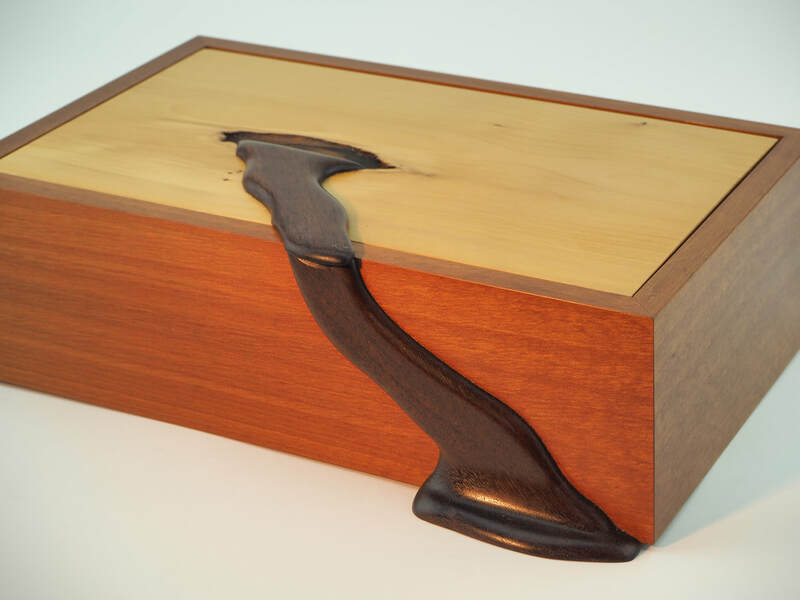 This Desk Box highlights some of the beautiful woods which grow here in New Zealand. 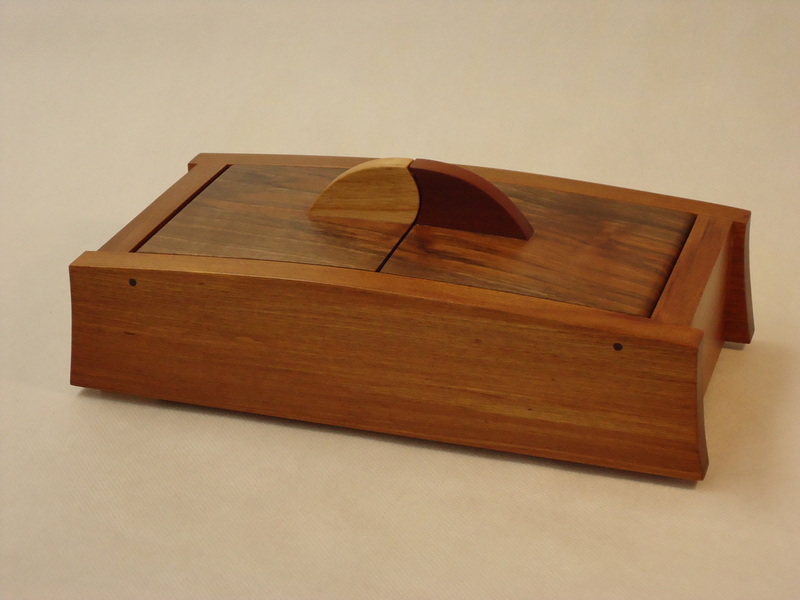 The box is made from Red Beech with a top which also includes Walnut, Plane and Rimu. The side posts and handle are crafted from recycled Jarrah, an Australian Eucalyptus. This particular wood came from an old support beam in a building that collapsed during the Christchurch Earthquake. Nice to give new life to some beautiful old timber. 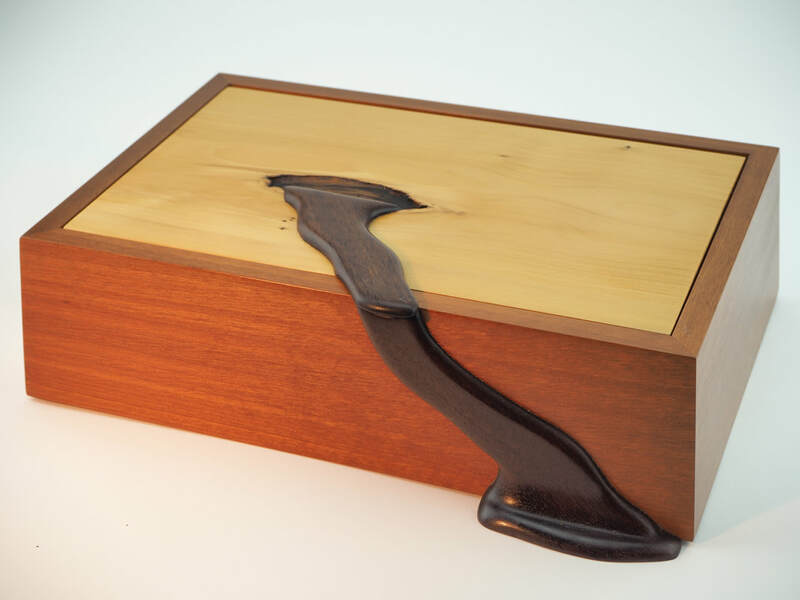 With its distinctive ying-yang design, this box is made from recycled rimu with a curved walnut lid and cherry and jarrah handle.